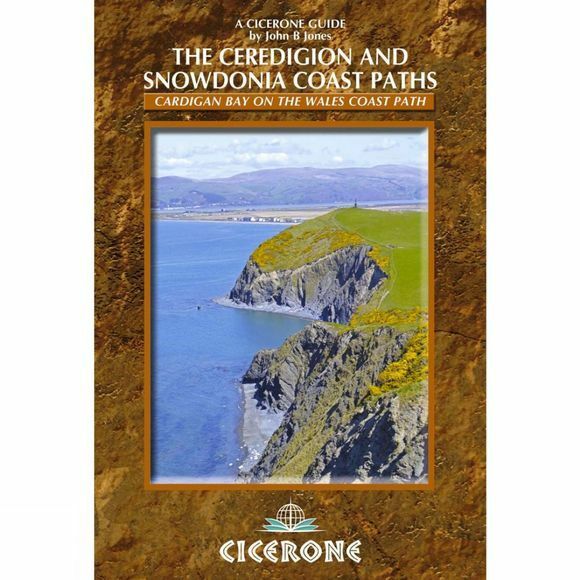 Step-by-step guide to backpacking along the Ceredigion and Snowdonia Coast Paths, down the coast of mid-Wales between Porthmadog and the Llyn Peninsula and St Dogmaels and the Pembrokeshire Coast Path, 233 kilometres (147 miles) of varied long-distance walking to fill an extended fortnight's holiday or a series of long weekends and day walks. The route passes through contrasting landscapes from Snowdonia's coastal plains to dramatic cliffs and even ventures inland around the beautiful Dyfi Estuary and over some coastal hills with breathtaking sea views. Backpackers can choose from tiny fishing villages to university towns for their overnight accommodation over the 16 stages and there are many historic and geological sights to explore, all described as you pass them on the route. The route is illustrated with OS map extracts as well as extra sketch maps of tricky sections and lots of information is included about public transport links, accommodation and facilities to help you plan how to tackle the trail.